Ted Cruz's chances of becoming the next president are rising, but he is not backing away from his plan to return America to the gold standard. It's a plan that is getting the "you've got to be kidding me" reaction from the business community. "I don't think that's going to happen. I just don't believe that would be possible," says Peter Cardillo, chief market economist at Standard Financial. Cruz backers are funding a $1 million ad campaign championing the idea in New Hampshire (a state where Cruz has struggled). 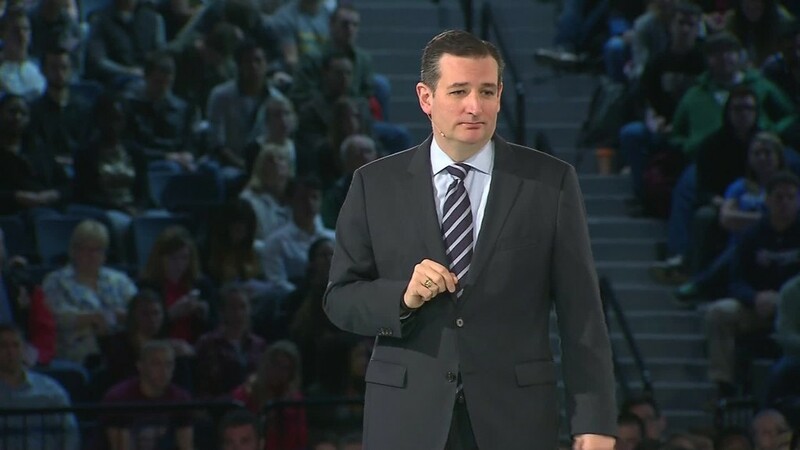 Cruz even mentioned resurrecting the gold standard during one of the Republican presidential debates. But economists and investors see it as a relic that should stay in the past. The U.S. was on the gold standard from 1879 to 1933. It meant that any U.S. dollar could be exchanged for actual gold. But America ditched it in order to get out of the Great Depression. "Most economists now agree 90% of the reason why the U.S. got out of the Great Depression was the break with gold," says Liaquat Ahamed, author of "Lords of Finance." Many of the world's major economic players were on the gold standard during the Industrial Revolution. It made trade easier because no matter what each country's currency was -- the British pound or French franc -- it was backed up by gold. It was a stamp of trust. But there's a major downside to the gold standard that caused President Franklin Roosevelt to get rid of it in 1933: It's akin to wearing an economic straitjacket. "I don't think the average Joe understands the economic impact. During the gold standard, there was high unemployment," says John LaForge, co-head of real assets at Wells Fargo. While everyone loves stories of finding shipwrecked ruins filled with gold, a country can't rely on that for economic policy. The main reason is there just isn't enough gold out there to power major economies. When the Great Depression hit, Roosevelt wanted the government to spend money on building roads and bridges (among other projects) to stimulate the economy and get people back to work. But he couldn't do that on the gold standard without finding a lot more gold. So Roosevelt put the U.S. on a "gold standard lite" where America would allow foreign governments to exchange dollars for gold. That stayed in effect until 1971 when American stopped doing gold payouts completely. Senator Cruz embraces the gold standard because he has "deep concerns" about how the Federal Reserve has been stimulating the economy. "I think the Fed should get out of the business of trying to juice our economy, and simply be focused on sound money and monetary stability, ideally tied to gold," he said during the CNBC Republican presidential debate in late October. 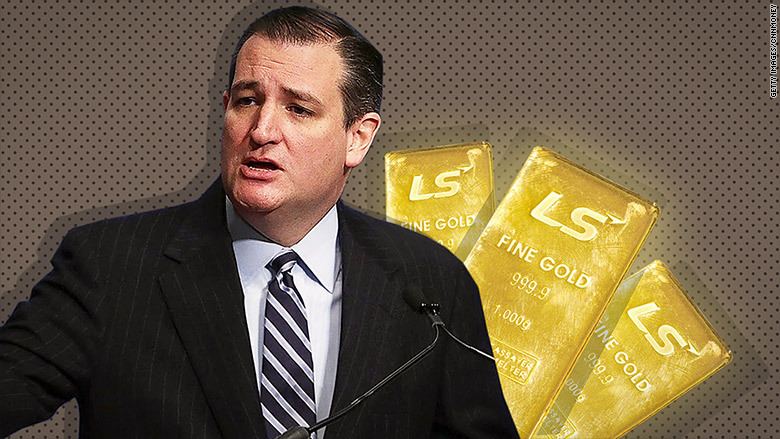 Cruz isn't the only Republican in favor of bringing back the gold standard. Mike Huckabee is ready to do it too. Rand Paul wants to study the idea and Ben Carson has sort of implied he's for it in an interview on the radio show Marketplace. The Fed's actions during the crisis have many critics. But almost everyone agrees America would be much worse off if the Fed had not acted at all. Now Europe and Japan are actually following America's lead in an effort to revive their economies. Beyond hamstringing the U.S. from responding to crises, the gold standard also relies on a commodity that is known for wild price swings. Going all the way back to the 1700s, the trend has been that a bull market for commodities lasts about 16 years. Then it is followed by about a 20-year bear market, notes LaForge of Wells Fargo. Gold hit a high near $1,890 an ounce in September 2011. It's fallen dramatically since then to under $1,050, which suggests now isn't a great time to embrace gold. "If you look at the price of gold, the gold market certainly isn't anticipating [a return to the gold standard]," says economist Cardillo. -- CNN's Theodore Schleifer contributed to this article.